This is the seventh blog post in a series authored by twelve individuals who received scholarships to attend the 2018 Science Boot Camp held at Brandeis University on June 13-15, 2018. In this installment, describes science boot camp as a networking event. Please watch for more posts about resources from this event and views from scholarship recipients in the upcoming weeks. 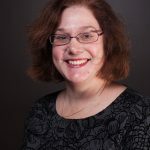 As a MLS student or early career librarian, attending professional development conferences can be daunting. You, as a first-time attendee, are surrounded by experienced librarians with well-established careers and positions within their institutions. Often the library professionals are not only attending, but also presenting at the event. In order to ask questions or create networking opportunities, you find yourself pushed outside of your comfort zone to initiate often awkward and forced conversation. I think we have all been through this before and it is not unique to the librarian experience, but it is overwhelming nonetheless. Fully expecting this sort of awkwardness at the New England Science Boot Camp 2018, I prepared for the event by asking my assigned mentor a myriad of questions. I also sought advice from other librarians at my library who had attended the boot camp before. I was surprised to find that when I arrived at Brandeis University, I did very little initiating. People approached me and asked about my library, graduate student experience, and personal interests. I found the environment to be inviting and inclusive. While all of the sessions were informative and eye-opening, I found myself equally enjoying the conversations I had with others about their libraries, librarian career paths, and the projects and research they were involved in. Some of the most interesting stories were about the previous lives of librarians. I met ecologists, teachers, engineers, and people from all walks of life. I quickly found myself approaching others, and without any forced awkwardness, I sat with them at breakfast, walked with them to sessions, hung out with them during the breaks, and laughed with them at the dorm in the evenings. Many of the librarians who are return attendees to the boot camp told me, “this is my favorite conference.” I believe it! The three-day event was informative, interesting, and honestly, it was a lot of fun. 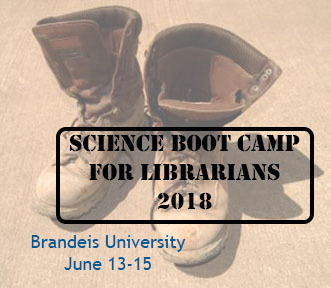 The fact that people continue to attend year after year, and create lasting professional relationships and friendships, should be enough to convince every MLS student and early career librarian to apply for a scholarship or register to attend the annual New England Science Boot Camp. It is a positive, energizing, and surprising experience. I think we can all agree that we need more of those in our personal and professional lives. I would like to thank the New England Science Boot Camp for offering scholarships to attend this wonderful 3-day event. Also, I’d like to thank all of the awesome librarians who attended. You made me feel welcome from the very start to the very end! I hope you enjoy the latest installment of the Science Boot Camp for librarians. To read the first post please click here. For information about last weeks reflection please click here. For more about this year’s Science Boot Camp resources or other upcoming events, please visit the NNLM NER website, or contact anyone in the NNLM NER office.